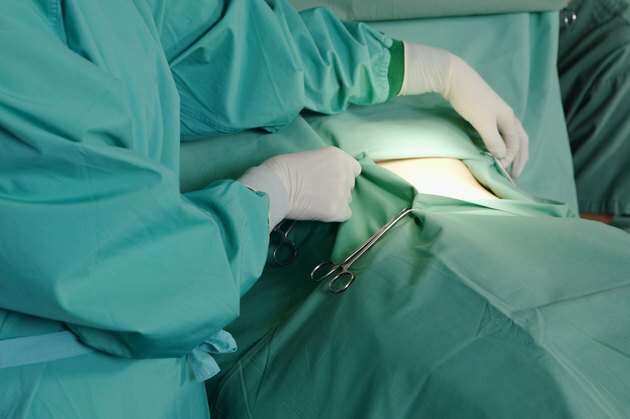 After gallbladder surgery, or cholecystectomy, your body needs time to heal. Upon discharge from the hospital, your doctor may recommend following a low-fat diet for the first month to help reduce indigestion and digestive discomfort. After that, you typically can resume normal eating without any restrictions. It's common to experience constipation for several days after surgery. If this occurs, drinking prune juice or taking another mild laxative can help promote regularity, recommends the University of Maryland St. Joseph Medical Center. Your gallbladder sits below the liver and acts as a concentrated source of bile salt, which it releases into your intestines to help digest dietary fat. Immediately after gallbladder surgery, you may find it challenging to digest a lot of fat at one meal. If this is the case, reducing your daily fat intake can help until you recover. It's common to limit fat intake to 40 to 50 grams daily, as tolerated. If your doctor prescribes a low-fat post-surgery meal plan, he may instruct you to avoid fried, greasy and spicy foods since they may irritate your digestive system. 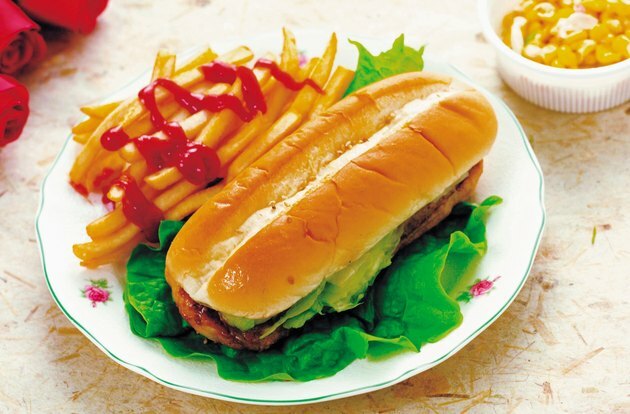 It's common to limit fats to three servings per day on a low-fat diet. You can usually have avocado, cream, cream cheese, margarine, olives, mayonnaise, nuts, peanut butter, sour cream and salad dressing. Examples of a serving of fat include 2 tablespoons of cream, four to five nuts, 1 tablespoon of salad dressing, five small olives and 1 tablespoon of peanut butter. Although your doctor may provide individualized recommendations, it's typical to stick to skim or low-fat cheese, milk, yogurt and other dairy foods made with skim milk. You may need to limit meat, cheese, poultry and fish to a total of 6 ounces each day, and it's common to steer clear of fatty meat such as bacon, beef short ribs, luncheon meat, sardines, chicken liver, salt pork and sausages. Your doctor may recommend trimming visible fat from your meat before cooking and choosing cooking methods that don't require oil, like baking, grilling, broiling and roasting. 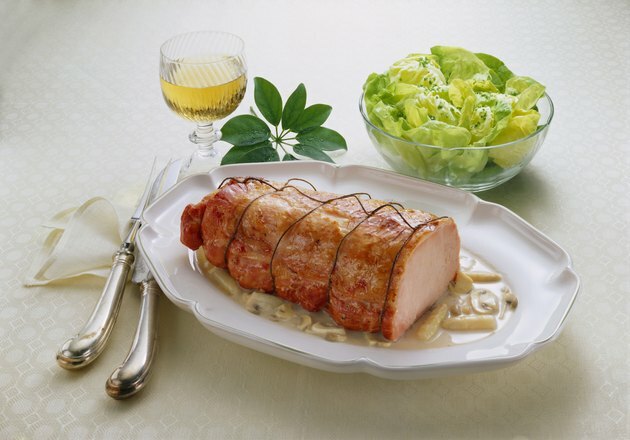 You can usually have lean beef, lamb, veal, poultry without the skin and lean cuts of pork such as the loin. It's typical to avoid baked goods containing whole milk, egg yolks, nuts or more than 2 grams of fat per serving. This includes breakfast items such as pancakes, waffles and muffins. 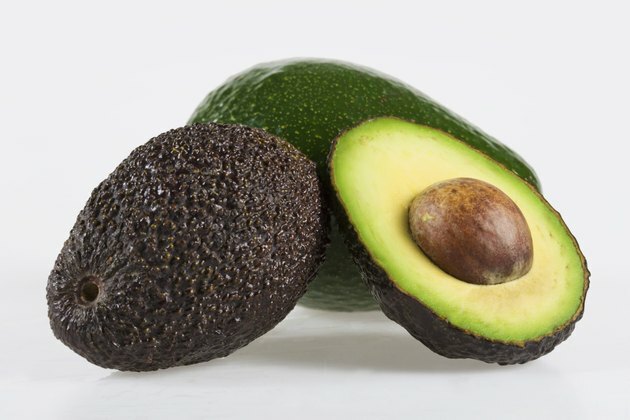 All fruits are usually allowed, but avocado is limited to one-eighth of the fruit per serving. Vegetables are typically safe as long as preparation doesn't involve added fat or whole milk. 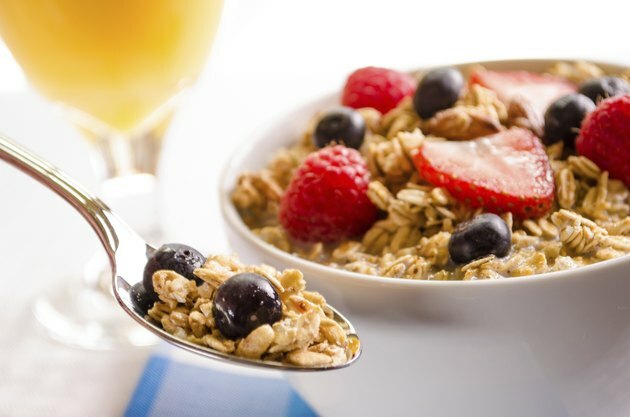 It's common to include foods such as cereal, breads, pasta, rice, noodles and crackers, as well as beverages made without cream, whole milk or chocolate. Soups made without added fat or whole milk are usually allowed on this type of diet.